A review of Shiʿite Higher Learning and the Role of the Madrasa-yi Sulṭānī in Late Safavid Iran, by Maryam Moazzen. Maryam Moazzen’s dissertation examines the transmission of knowledge in Safavid Iran from 1642 to 1722. Using the Madrasa-yi Sulṭānī as a focal point of her study, Moazzen skillfully portrays the political, ritual, social, and religious environments of Safavid Iran that shaped the culture of religious instruction. By using a wide range of sources including scholarly treatises, biographical dictionaries, ijāzas, and the foundation deeds of madrasas, Moazzen provides her readers with a well-developed picture of the complex motives and ideas that influenced those who learned and instructed within the Madrasa-yi Sulṭanī, in addition to those who participated in Islamic religious instruction outside the school. The dissertation begins with an overview of the development of Shiʿite educational practices in general and those that appear in Safavid Iran specifically. By tracing the development of Shiʿite hadith, theology, legal theory, and the methods of instruction used to transmit these ideas, Moazzen orients her readers to the practices leading up to the period of her study in the mid-seventeenth century. She discusses important figures in the development of Shiʿite thought and considers the contexts in which they taught, including study circles used by many of the early scholars in Baghdad, the foundation of libraries know as Houses of Knowledge (dār al-ʿilm) under the Buyids, and early madrasas built to support Shiʿite scholars. Special attention is given to the early Safavid period and the scholars recruited to assist in the conversion of Iran to Shiʿism. The madrasas of Isfahan are described in detail along with their role in establishing patronage ties between the eminent scholars who were recruited to teach and the shahs. The second chapter discusses the institutions built by Shāh Sulṭān Ḥusayn (r. 1694-1722). In particular, Moazzen offers a detailed look at the Madrasa-yi Sulṭānī, the largest madrasa constructed in early modern Iran. Through a careful discussion of the deed of endowment (waqfiyya), Moazzen elucidates the educational practices, responsibilities and payment of personnel employed by the madrasa, and the property used to fund its activities. Additionally, Moazzen provides an insightful discussion of the motives that inspired Sulṭān Ḥusayn to build this madrasa. Besides the religious and political reasons for constructing the madrasa that are similar to the establishment of madrasas in other times and places, Moazzen finds evidence of foreign policy objectives as well. 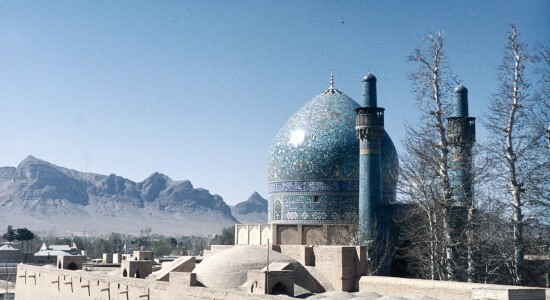 Having introduced her readers to the practices and operation of the madrasa, in the next chapter Moazzen transitions to a brilliant discussion of the use of ritual and pilgrimage at the Madrasa-yi Sulṭānī to shape the collective memory of the larger community in Isfahan. Here, Moazzen contributes to the study of Shiʿite ritual done by Mahmoud Ayoub and Kamran S. Aghaie, who concentrate on the psychological and political meaning of Shiʿite ritual respectively. Moazzen, instead, studies the performance of ritual as a means of “storing and transmitting religious knowledge and culture” (p. 119). She argues that through enacting ceremonies sponsored by shah and madrasa, individuals shared experiences that created a sense of unity by commemorating archetypal events from Shiʿite history. The madrasa sponsored recitations of the sufferings of ʿAlī and Ḥusayn, passion plays during Muḥarram, observation of ʿĪd-i Ghadīr and other events, frequently serving food to members of the community who attended these ceremonies. In addition to creating collective memory and transmitting emblematic values to the participants, Moazzen notes that these rituals were reconfigured so that their meanings were consistent with the religious teachings of the late Safavid period. Supporting the work of Kathryn Babayan, Moazzen finds rituals that were prevalent among extremists during the early Safavid period were suppressed, as were some Sufi rituals. In the fourth chapter, Moazzen describes the competing concepts of knowledge that existed in Safavid Iran. She traces the development of philosophically-minded scholars such as Mullā Ṣadrā, Akhbārī muḥaddiths (traditionalists), and Uṣūlī mujtahids (jurisconsults). Through an examination of foundation deeds of madrasas and licenses (ijāzas) issued by instructors to their students upon completion of study, and other texts, Moazzen reconstructs the curricula that educated students in the systems of thought dominant in the late Safavid period. While those who practiced philosophical inquiry and mujtahids enjoyed considerable backing from the elite in the early Safavid period, the traditionalists challenged their preeminence during the later period. However, the mujtahids retained favor in spite of the challenge posed by the traditionalists, in part, Moazzen argues, because their methods of arriving at legal opinions allowed for more flexibility that could benefit the ruling elite. Several scholars have observed these trends, but Moazzen’s discussion demonstrates the importance of Safavid patronage in directing the intellectual discourse in their realm. However, she also notes the fluidity of Islamic education during this time period that allowed for the study of texts outside of madrasas and allowed for the propagation of ideas that were not directly supported by the state. In the fifth chapter, Moazzen discusses the educational practices and behaviors that characterized Islamic education during the Safavid period. While memorization (ḥifẓ) and recitation (qirāʾa) provided a strong basis for the educational process, Moazzen emphasizes the importance of writing commentaries (taʿliqa), discussion (mubāḥatha), debate (mudhākira), and dialectical disputation (jadal) in establishing a student’s understanding and mastery of the material. She also provides a careful discussion of the behavior and comportment that distinguished professors and students. The descriptions of expected behaviors Moazzen finds are remarkably close to those described in Sunni contexts as demonstrated in the work of Michael Chamberlain and other scholars of social behavior among the educated elite. The sixth chapter presents a fascinating discussion of four scholars from the late Safavid era, each representing a competing epistemology. However, Moazzen finds common ground between them in their criticisms of the religious scholars trained in the madrasas for their literalist (ẓāhirī) approaches to knowledge and desire for wealth and status. These scholars used dynamic approaches to understanding truth and moral behavior and employed combinations of philosophical, mystical, traditionalist, and Uṣūlī practices. Having discussed critiques of scholars employed and perhaps corrupted by their interactions with the ruling elite, the seventh chapter examines the life of Sayyid Mīr Muḥammad Bāqir Khātūnābādī (d. 1715), who was fully immersed in the court life of Safavid Iran. Khātūnābādī held the distinction of being both the first mullā-bāshī (head of religious scholars) and the first rector and teacher of the Madrasa–yi Sulṭānī. Moazzen’s examination of his life reveals the educational and family background of a prominent scholar as well as an analysis of the socio-political influence the office of the mullā-bāshī held in late Safavid Iran. As rector of the madrasa, Khātūnābādī held the responsibility of selecting students of good character, overseeing the disbursement of their stipends and care for their well-being, as well as their instruction. Because Shāh Sulṭān Ḥusyan regarded Khātūnābādī so highly, he also appointed him to the office of mullā-bāshī. However, Moazzen finds that the influence of this office was more limited than some scholars have asserted. In addition to providing a remarkably detailed and insightful discussion of the foundation and early operation of the Madrasa-yi Sulṭānī and the lives of its founders and employees that have been neglected until now, Moazzen’s dissertation illuminates many of the dynamics of the intellectual debates and educational methods prevalent in late Safavid Iran, highlighting the importance of the patronage of the shahs in shaping these discussions and promoting an orthodoxy suited to their interests. In terms of her approach to the study of madrasas and Islamic education, Moazzen provides an effective model of scholarship. George Makdisi’s landmark work in the area, The Rise of the Colleges (Edinburgh: Edinburgh University Press, 1981), was sweeping in its consideration of Islamic societies. More recent scholars specializing in Islamic education have limited their scope to particular cities and time periods, such as the work done by Jonathan Berkey, Michael Chamberlain, and Daphna Ephrat. By further concentrating her study to a particular institution and the individuals involved with its operation, Moazzen demonstrates the depths of insight that can emerge from a more focused approach. Her textured and nuanced discussion goes beyond an examination of the madrasa’s importance in the teaching and transmission of texts to reveal the multifaceted nature of the school and the broader socio-political role it played in Safavid society. University of Toronto. 2011. 331 pp. Primary Advisor: Maria Eva Subtelny. Image: H. M. Hansen, Chahar Bagh Madrasa, Isfahan, Iran. The David Collection.